In the early stages of my reading career, I got a lot of enjoyment from “Archie’s Double Digest” and collections of “Garfield” and “Peanuts” comics. Back then, comics were comics and the term “graphic novel” was new and mostly described long-format comic books that were much too mature for children. Nowadays, the term is used to describe a great variety of illustrated stories for people of all ages. Call them what you will, comics remain a great way to get new readers to do more reading on their own. The format is always inviting; the text does not intimidate and the drawings propel the story while providing context clues for more sophisticated vocabulary. 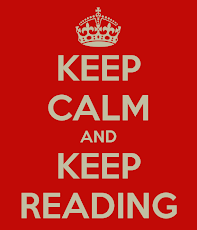 All levels of readers can enjoy them. The Breakfast Bunch is hot on the trail of the dastardly crook who stole the bake sale goodies. The stakes are high; if they can’t solve this mystery, they won’t be able to go on a field trip. 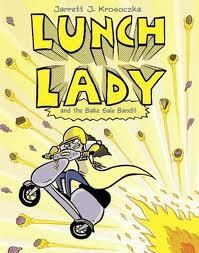 Luckily, Lunch Lady is there to save the day! With the help of her serving-line sidekick Betty, Lunch Lady collects clues using nifty cafeteria gadgets like a cookie camera and spork phone to track down the culprit. This is the fifth installment in the hilarious “Lunch Lady” series. Boys and girls will get a kick out of this action-packed comic filled with fights, explosions, and a transforming school bus. With clean lines and a traditional format, this graphic novel is also a lot easier on the eyes than many others. For young girls, this is a nice introduction to the graphic novel. Babymouse is an earnest, slightly neurotic, elementary school-age character whose unstoppable energy propels her through all kinds of wacky adventures. Caught up in another daydream, Babymouse accidentally destroys her favorite place: the school library. A cupcake fundraiser is held to replace the books. 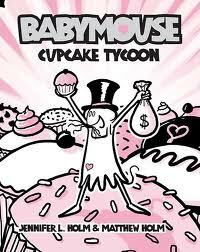 Will Babymouse sell the most books and win the special prize? The “Babymouse” series illustrations are black and white drawings with pink highlights. A bold pink wash lets readers know when Babymouse is daydreaming. The pink is a turn-off to my young sons, but I have spotted them reading this one on the sly. Not a true graphic novel, this book is categorized as an “illustrated novel,” or a “novel in cartoons.” Regardless, it follows our formula of being inviting and using illustrations to actuate the story, so I’m including it here. I had a lot of fun reading this book. You should see all the “ha ha” notes I wrote in the margins. It is the story of a boy named Stanley who “was not the kind of boy who liked to take chances.” He’s more of an under-the-radar kind of guy until he makes the mistake of bringing a zombie doll home from a yard sale. In the typical male style, Stanley throws away the directions for the doll without ever reading them which results in the zombification of nearly the entire school. Stanley and his good friend Miranda are left to deal with the consequences. In doing so, Stanley finds courage he never knew he had. Though simple to read, the text is filled with puns, word play, and tongue-in-cheek humor. There’s even the occasional exciting vocabulary word (revivified) thrown in to please the English teacher in me. The illustrations are appropriately icky and sometimes contradict the text in amusing ways. For instance, while the opening of chapter four says Stanley is doing his homework, we see him in the middle of his bedroom floor exerting himself at a videogame while his cobweb-covered schoolbooks sit unopened. This is a book that your boys will love. It is quick to read, clever, and very silly. I find it far more entertaining than the popular “Diary of a Wimpy Kid” series. At the library and online, you can find children’s graphic novels about such things as the sinking of the Titanic and the lives of the saints, as well as expurgated classics by Dickens, Poe and Shakespeare. By the way, did you know that they are still making “Archie” comics? President Barak Obama paid a visit to Riverdale in “Archie “ # 616, and Sarah Palin makes her “Archie “ debut in #617 this month. You may have a little wait getting these popular comic books from the library. Originally published between 1930 and 1976, “The Adventures of Tintin” are full-color comics that encompass mystery, espionage, and swashbuckling adventure. 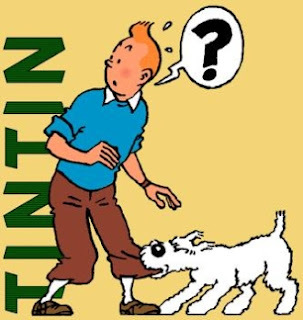 Tintin is a young Belgian reporter who finds himself taking to the high seas, surviving the burning sands of the desert, narrowly escaping kidnappings, and even blasting off to the moon. Also in the cast of characters are the ever-bumbling detectives Thompson and Thompson, and the brilliant Professor Calculus whose hearing-impairment is a constant source of humor for the reader and frustration for Captain Haddock. 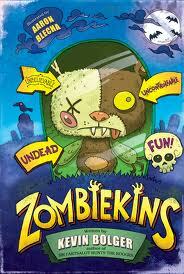 Young readers will probably want these read aloud to them until they get a sense of the characters and vocabulary. These stories are perfectly appropriate for the young, and are highly entertaining for teens and adults. M. D. Clark has been reading since 1975.